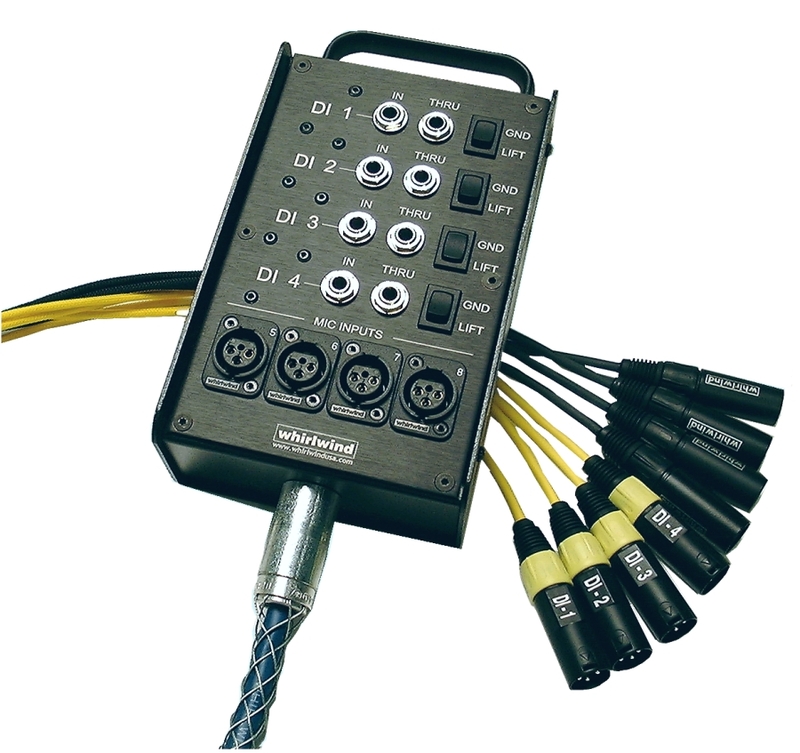 The Medusa MultiSnake is perfect for organizing acoustic instrument and vocal frontlines. 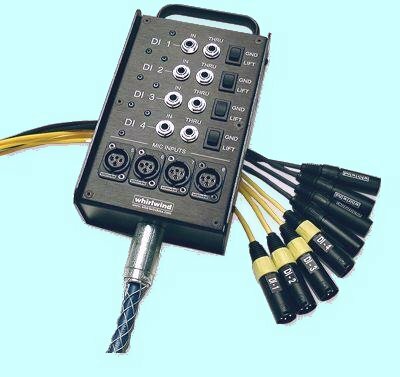 We've combined our MultiDirector's four premium direct boxes with a 4 channel mic snake into a single small stagebox measuring 9.5" (with handle) X 5.25" X 2.5". Stock length is 50', or available in custom lengths, to allow for use as a main snake with small ensembles or as a drop-snake in larger systems. Multipin disconnects are also available as a custom option. MLTSN4X4-50 $447.42 for 50 foot. Call or E-mail for pricing on other lengths. The Medusa MultiSnake10 represents our next step in multi-function drop snakes. This snake combines 4 mic lines with 6 dual purpose mic / DI lines in one small drop snake measuring 9.5" (with handle) X 5.25" X 2.5". Stock length is 50', custom lengths and options such as multipin disconnects are available. MLTSN10X6-50 $727.73 for 50 foot. 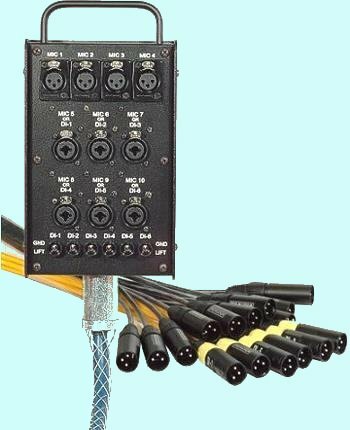 The Medusa MultiSnake12 is designed to be a handy drop box DI / Snake - a perfect accessory to the Whirlwind PatchMaster system. 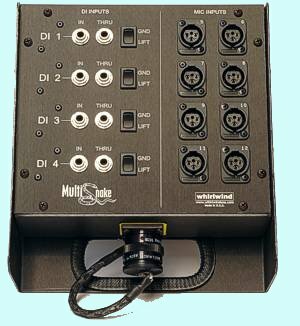 We've combined our MultiDirector's four premium direct boxes with 8 channels of XLR input jacks into a single stagebox. The DI channels feature individual ground lift switches. MLTSN8X4KITM-50 $869.70 for 50 foot.